You won’t find a screen on the Swiss-made Withings Activité, which is powered by a watch battery and doesn’t require daily charging (its timekeeping mechanism is quartz-based.) Instead, under its minimalist analog face, you’ll find an accelerometer and Bluetooth. The Activité can track calories, steps, running workouts, and sleep. It’s even waterproof, and Withings hopes to add a swimming workout mode soon. All that data can be synced with the Withings Health Mate app. Unfortunately, the Activité can only sync with the iOS at the moment and not the version of the app on Google Play. 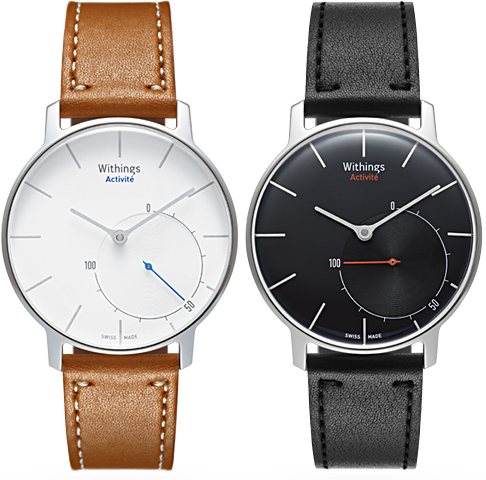 The [company]Withings[/company] Activité also has a few nifty non-fitness tracking features, like the ability to automatically switch time zones when traveling. There’s a second analog dial on its face that tracks how close the wearer is to his or her step goal. For comparison, another fitness tracker made by Withings, the Pulse O2, costs only $120 and comes with a blood oxygen monitor and a heart rate monitor in addition to its accelerometer. It can display stats and the time on a tiny LED screen. Without taking looks into consideration, it is clearly a superior activity tracker in terms of features and costs a fraction of what the Activité costs. In fact, the Withings Activité turned out to be $60 more expensive than the $390 price announced earlier this year. It’s also a full $100 more than the entry-level Apple Watch will cost. The Activité is an interesting product because it’s so close in both form and function to a standard wristwatch. 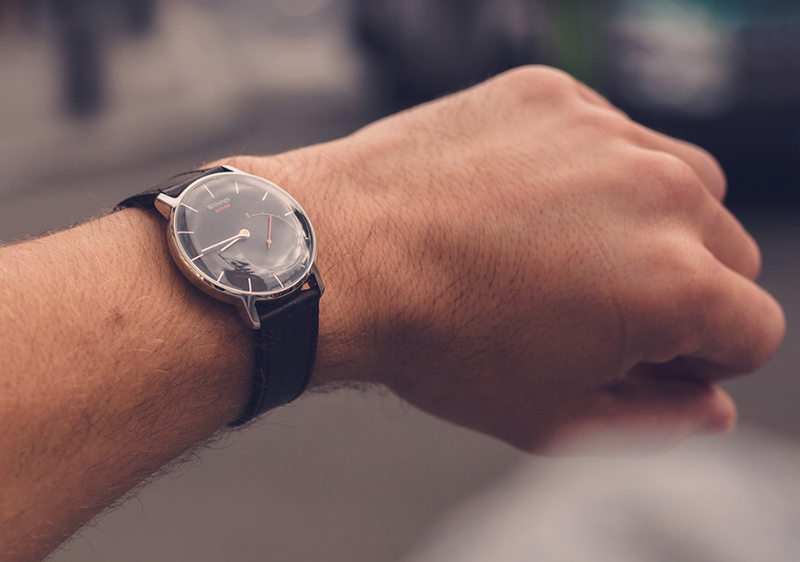 I haven’t seen it in person, but in photos it looks nice and wouldn’t appear out of place on a banker’s wrist underneath a suit — unlike some of the chunky smartwatches available now. Why can’t a fitness tracker also be a traditional watch without becoming a fully fledged smartwatch? For instance, Microsoft describes its Band as a hardware platform, and that in the future, there could be other devices with the same sensors that also plug into Microsoft Health. If the Activité is successful, I’d bet that more than a few of them end up looking like traditional analog watches. There’s also the obsolescence problem — many people who buy a $450 watch expect to wear it for a number of years. Timepieces can go out of fashion, but eventually the electronics in the Activté will go out of date. An expensive “fitness tracker” with a sweat absorbing leather band? Golly, what a great idea! Or we can wait for the Apple Watch..